At this point, we may soon be asking which DC Comics characters, locations and tangential relations Warner Bros isn't making TV shows out of. With Gotham, Arrow, The Flash and Constantine all currently airing plus Teen Titans, Supergirl and Hourman also in development, the studio's ambitious "Multiverse" experiment is expanding by the day. The latest entry? 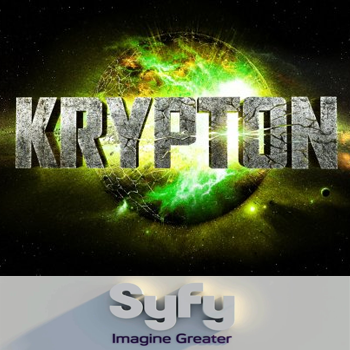 Krypton, a sci-fi drama set on Superman's doomed homeworld ten years before the hero's birth. The series is the brainchild of Man of Steel screenwriter David Goyer and Once Upon a Time's Ian Goldberg, who will jointly pen the pilot script for Syfy. It was not immediately clear whether the series will tie into the current DC Universe movies, the shared continuity of Arrow and Flash, the separate continuity of Gotham or be entirely independent of any existing part of the DC Multiverse. Little is known about the premise (the series was announced back in October) other than that it will involve Superman/Kal-El's grandfather "bringing hope and equality to a planet in disarray" during a time when the House of El is "shamed and ostracized;" so perhaps the pitch was "Game of Thrones, but for Superman!" No start or release date has been announced for the series at this time.